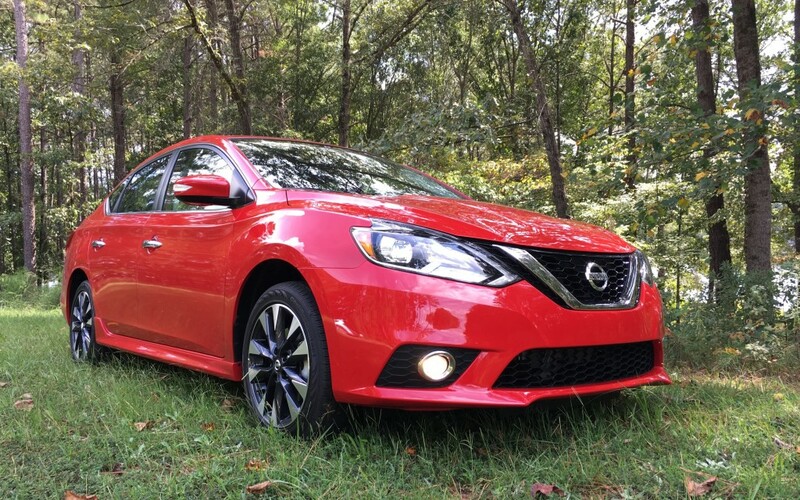 GREENSBORO, GA. – Nissan’s compact sedan, the Sentra, is the brand’s second-best-selling vehicle (behind the compact CUV Rogue), but its powertrain has been falling behind the competition as the skirmish for market share in this hotly contested segment sizzles. 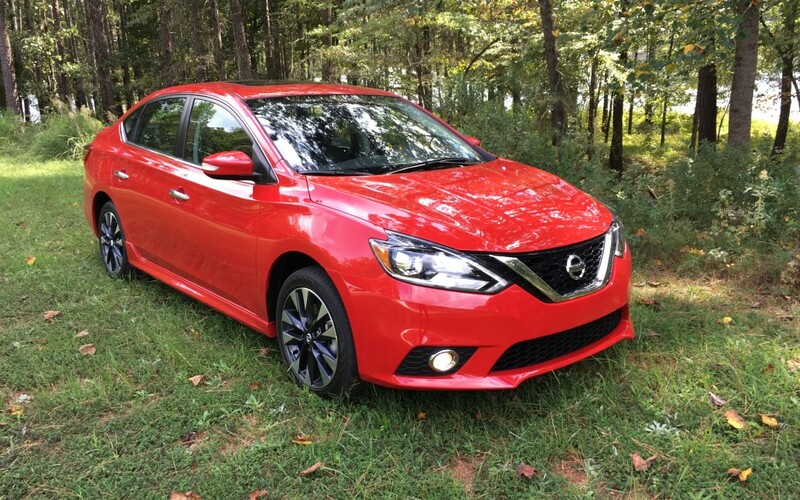 This shortcoming is about to be resolved as the Sentra is getting a big boost in horsepower, torque and sportiness for 2017. 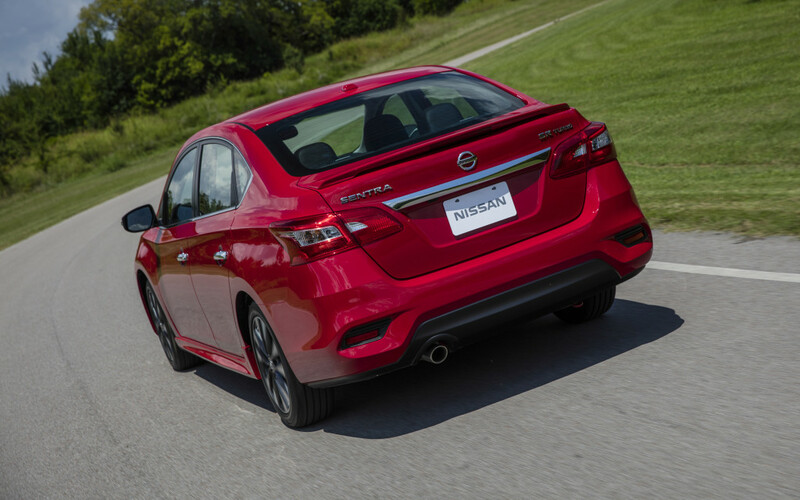 A new line-topping model, the Sentra SR Turbo, will be arriving in showrooms in November and although there are cosmetic changes that set it apart from its siblings, the real difference is under its hood. 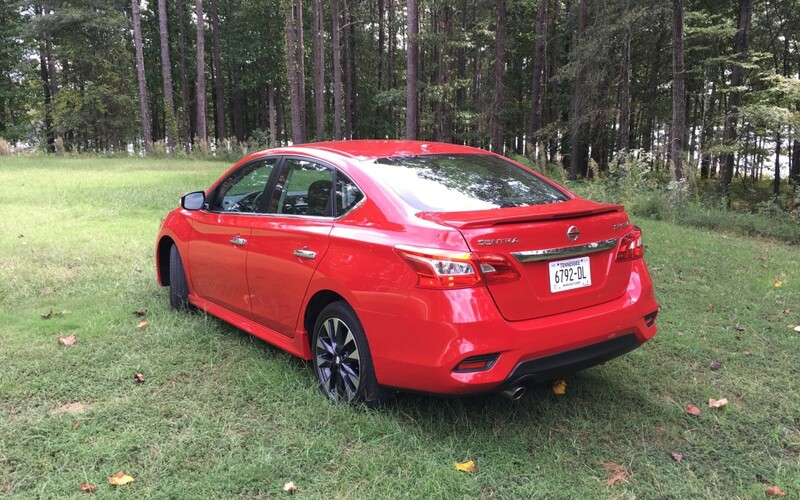 The normally-aspirated 1.8-litre four-cylinder that will continue to power the rest of the Sentra lineup in 2017 has been yanked in the SR Turbo. 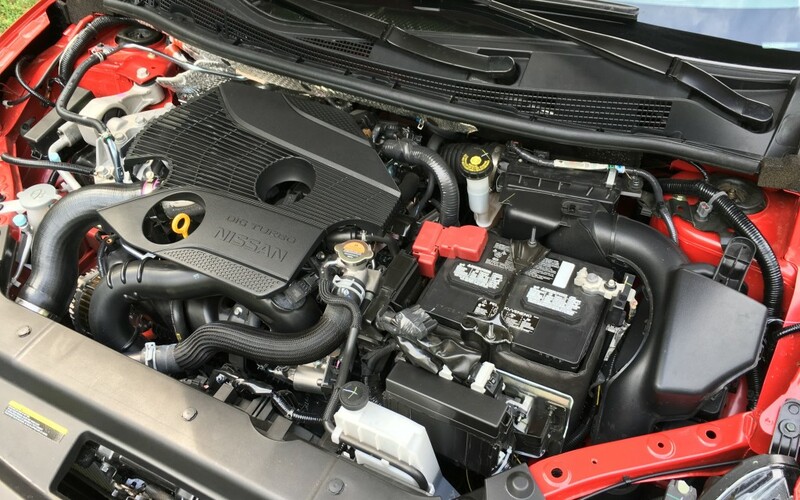 In its place is a turbocharged 1.6-litre four with advanced direct fuel injection, double overhead camshafts and 16 valves controlled by a continuously variable valve timing system that improves low-rpm response. The cylinder bores of this aluminum alloy engine are spray coated and mirror finished to reduce internal friction by 12%, compared to iron liners. With a compression ratio of 10.5:1, this peppy four-cylinder cranks out 188 horsepower and 177 lb-ft of torque – a boost of 64 horses and 52 lb-ft of torque over the 1.8-litre non-turbo engine. 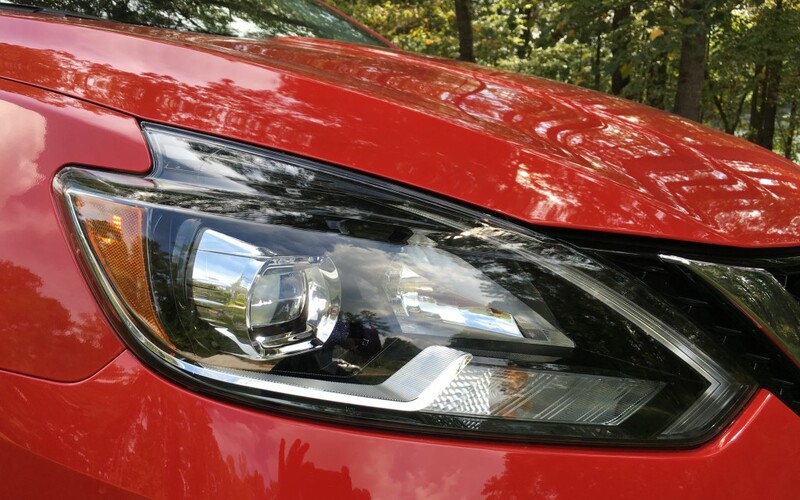 During a brief drive at a media preview event here, the new turbo engine, which in my test vehicle was coupled to a six-speed manual gearbox, added a much-needed sporty flair to the current Sentra, which some pundits have considered rather pedestrian, lacking any fun-to-drive performance. 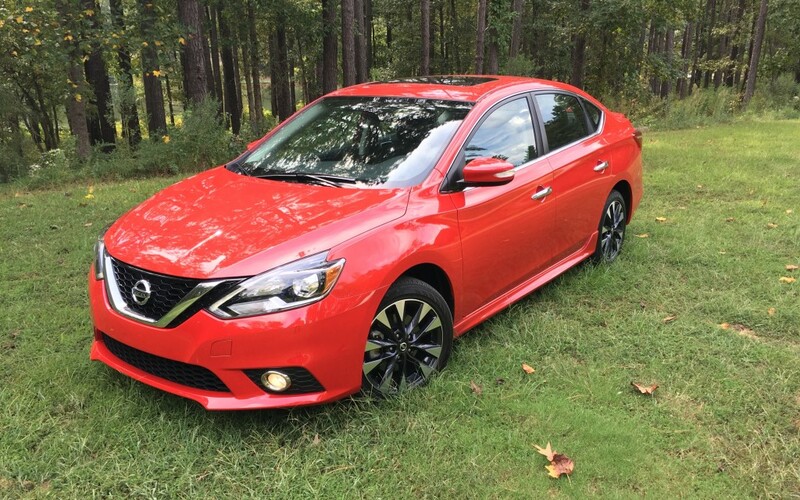 The Turbo will change that perspective – it felt responsive to throttle input, while the steering, handling and brakes all delivered at a level not previously found in the Sentra. In short, it was fun to drive. 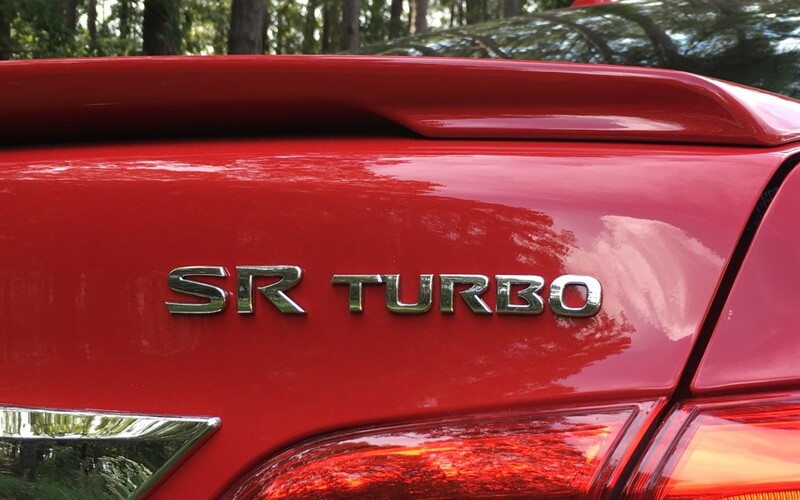 If a manual gearbox isn’t your thing, the SR Turbo is also available with an advanced version of Nissan’s continuously-variable Xtronic transmission that’s been tuned specifically to match the turbocharged engine. Its wide gear ratio delivers responsive acceleration while also enhancing fuel efficiency at high speeds. 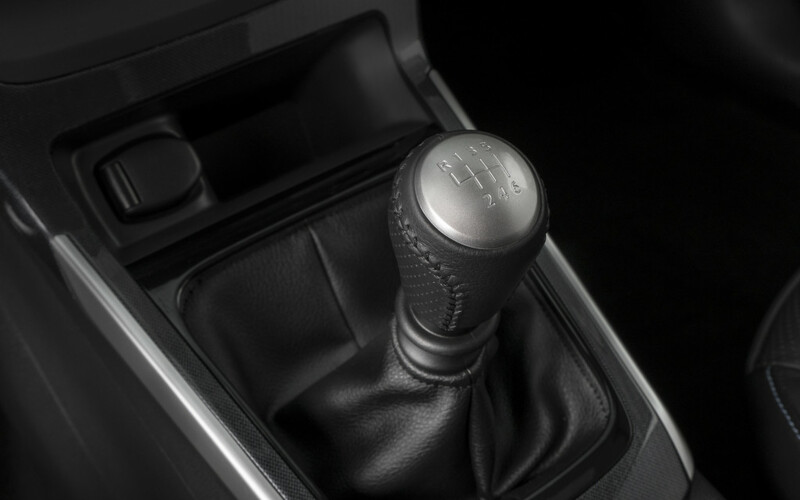 The Xtronic CVT features a step-shift program that simulates shifts, giving a more natural acceleration feel. To help increase the fun factor – and also cope with the increased power and torque – Nissan has enhanced the chassis, suspension and brakes. The thickness of the cowl has been increased and the engine cradle has been enlarged – both changes to strengthen the body’s resistance to torsional stress, while a new steering gear mount has been added for the enhanced electric power steering system. The stiffness of the springs in the independent front strut suspension has been increased 10 percent. The dampers front and rear are specific for the SR Turbo, with the front damping increased 23% and the damping on the rear torsion beam suspension boosted by 50%. The size of the front disc brakes and calipers has been increased – the ventilated rotors are now 11.7 inches in diameter versus 11.0 on other Sentras – and special brake pads have been added to improve performance and reduce fade. The solid rear discs are 11.5 inches in diameter. 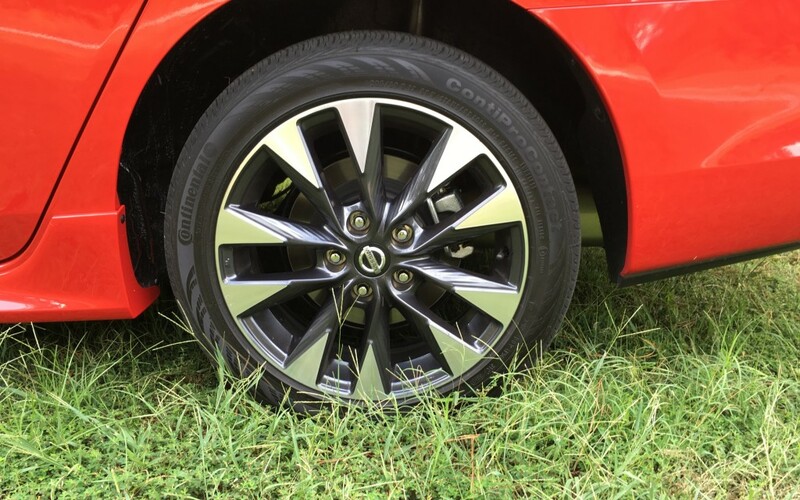 The SR Turbo rides on specially designed 17-inch aluminum alloy wheels fitted with 205/50R17 all-season tires. In addition to the unique rims, other exterior cues that set the SR Turbo apart include LED low-beam projector headlights with LED accents, lower body side sill extensions, a rear spoiler with integrated LED brake light, fog lights, chrome exhaust tip and heated outside mirrors with LED turn signals. 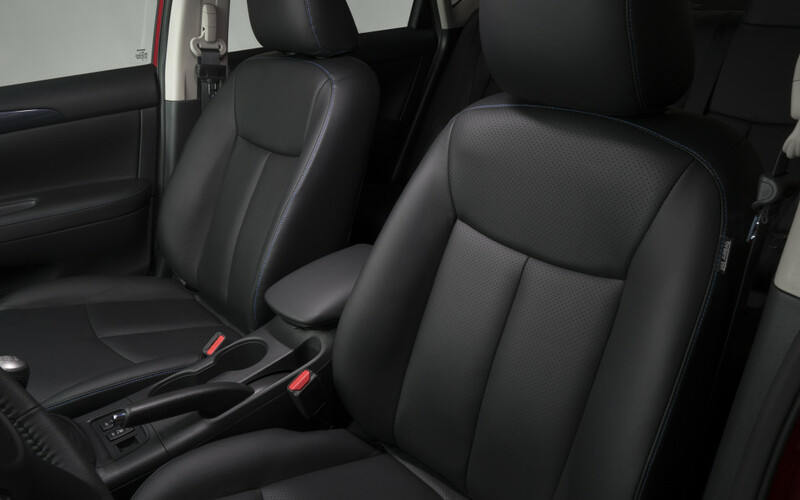 The interior features a special sport trim with premium cloth seats, a driver's seatback pocket and heated front seats plus a soft-touch instrument panel and door armrests. 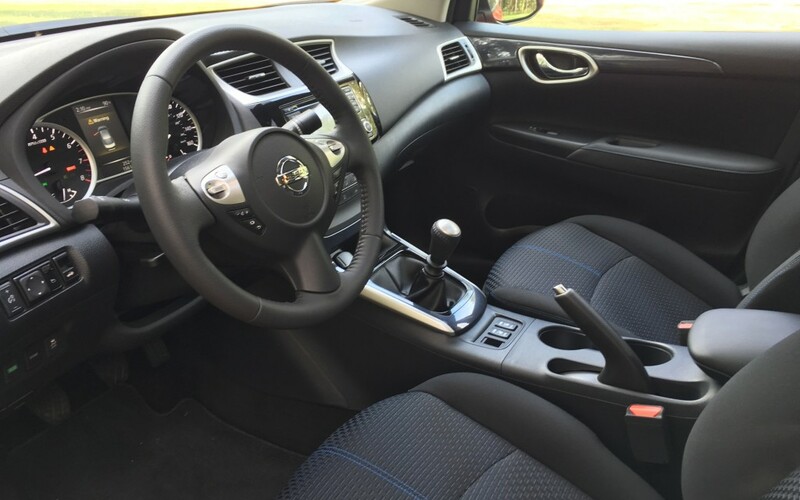 Other features include remote keyless entry, push-button start, rearview camera, tilt/telescopic steering column, power windows and door locks with auto-locking feature. The audio system includes a five-inch colour display, SiriusXM satellite radio capability and Bluetooth hands-free phone system as standard equipment. An optional premium package is offered on the SR Turbo. 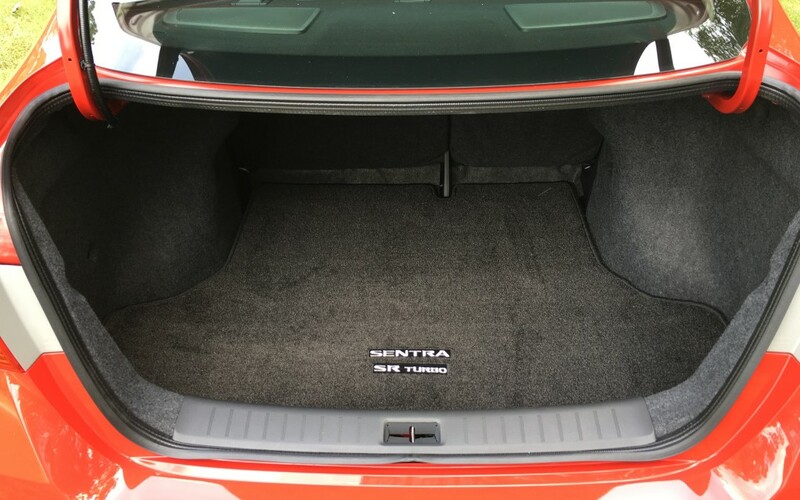 It includes such features as a power moonroof, leather-trimmed seats, a Bose premium audio system with eight speakers, a navigation system with 5.8-inch screen, auto-dimming inside mirror with HomeLink, blind spot warning system and rear cross traffic alert. While official fuel consumption numbers haven’t been announced, the onboard computer in two SR Turbos (both with the manual gearbox) I drove reported consumption rates of 8.0 L/100 km and 9.19 L/100 km – and you can be certain neither had been driven with fuel economy in mind by the numerous journalists attending the event. Canadian pricing for the SR Turbo has not been announced, but in the U.S. the car will start at $21,990 USD, which is $490 USD above the 2017 Sentra SL’s suggested retail price. 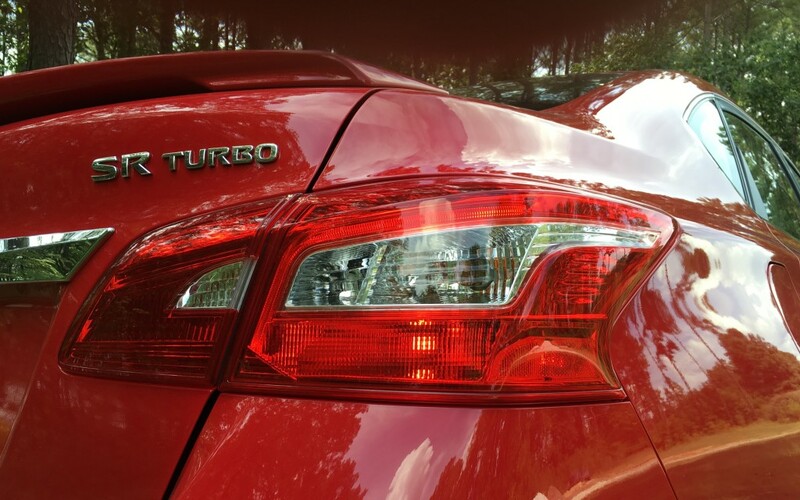 In Canada, the SR Turbo joins the existing trio of trim levels: the base Sentra S, mid-range SV and premium SL.